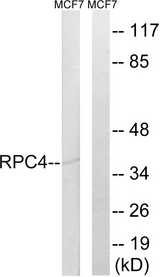 POLR3D antibody LS-C119919 is an unconjugated rabbit polyclonal antibody to POLR3D from human and mouse. Validated for Peptide-ELISA and WB. 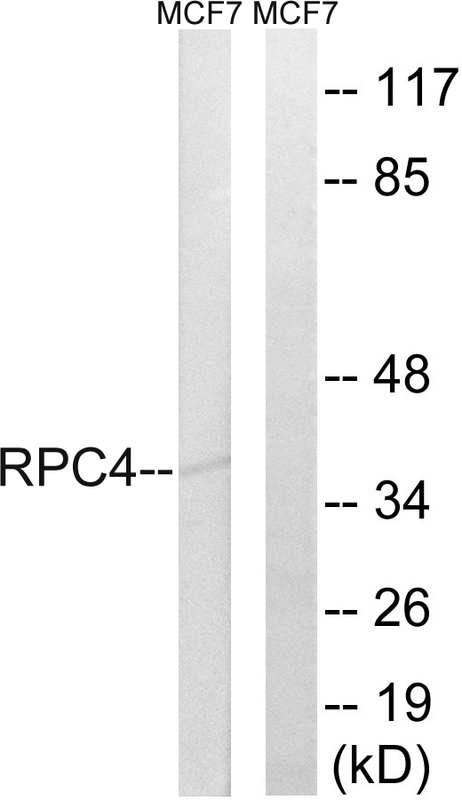 RPC4 Antibody detects endogenous levels of total RPC4 protein. Western blot analysis of lysates from MCF-7 cells, using RPC4 Antibody. The lane on the right is blocked with the synthesized peptide.